These are just some of the quality pool & billiards accessories featured here: The Action Standard Billiards Ball Set, Premium Aramith Pro Balls, Aramith Pro Cup 6 Red Dot TV Cue Ball, Elephant Practice Balls, Club Fun Table-top Miniature Pool Table, Color Swirls Billiard Ball Set, the Tip Pik Shadow Chalker, Porper Tip Shaper/Tacker, Aramith Q-Tru Training Ball, Le Professional Tips (50), Moosehead bridge Slips onto end of cue, Heavy Duty 8-Ball Rack, Porper Tip Burnisher, Simonis 760 Standard Green Cloth, Master Chalk - (12) Blue, Pool Dawg Blue Master Chalk, 8ft Table Cover, Silver Cup Talc and much more. 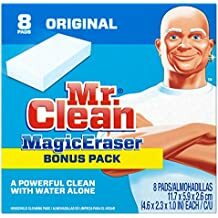 Wet the Magic Eraser (I use a small piece), wring it out real well so that it's only damp, then wipe away all the chalk and oily residue from your shaft. Dry real well with a soft cloth, then you're ready for the Smooth n Shine. Apply enough shine to give your shaft a very light coating, then wipe clean with paper towels and finish polishing with a soft cloth. You'll get the same result as you would with more expensive pool products that cost 4 times more and contain the same main ingredient, silicone. This joint protector set by Outlaw is designed to resemble a bullet and is available for 3/8 x 10, 5/16 x 14 and 5/16 x 18 cues. Each joint protector set includes a tip scuffer and a tip picker. This tip tool includes a shaper, a scuffer and a tip pick. Tip Pik features sharp needle-like points perforate the tip helping chalk to adhere. 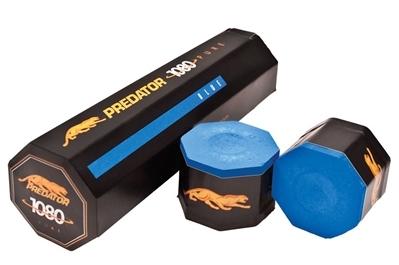 Predator 1080 Pure is simply the best chalk available today. With it’s precision formulation, long lasting application and unique shape, Predator 1080 Pure chalk is destined to revolutionize the industry. After you try it, you’ll realize that Predator has indeed perfected yet another pool playing product. A conditioner and sealer that lifts dirt and oil off your cue shaft and leaves it feeling silky smooth. Fine talc in a bag. It's what I use. As seen on TV. Size- 2 1/4 inches. Weight- 6 oz. Open up that bar table and let your tournament players use this. Size- 2 1/4 inches. Weight- 6 Oz. Action Standard Pocket Billiard Ball Set. Made with phenolic materials, upgrade your game with a new set of balls. The set comes with 15 standard balls and an Action cue ball. The Aramith Crown Standard Belgian Billiard Ball Set - great balls at a great price. This set features 15 regulation pool balls and an Aramith cue ball.